Now available for a limited time in Japan, a series of eight all-new nostalgia infused Rockman shirts. Considering the amount of sprite-based Rockman apparel Capcom of Japan has already produced, I can't say I'm entirely blown away by these designs. Cute concepts, nonetheless. The tees will be sold exclusively at Kotobukiya's direct store in Akihabara, a site historically known for offering one-of-a-kind Rockman goodies from time to time. Each design is priced at 3675 Yen, or roughly $48.15. Additionally, it sounds like more designs will be revealed closer to the release of Kotobukiya's 1/10 scale Rockman Zero model kit, due in October. Limited edition Kotobukiya goodies are pretty difficult to come by outside of Japan. Doubtful the shirts will be sold elsewhere, save for Ebay and the like. You're not missing too much, if you ask me. There's plenty of pixel-art Mega Man as is; not very difficult to hunt one down in your region these days. $48 is just too high, man. I agree with Protodude that there's alot of 8bit MM apparel out there already, but alot of it lacks in originality. These designs, though, are fairly original. From the image provided, I like designs 02, 06 and 10. But yeah, not $48. 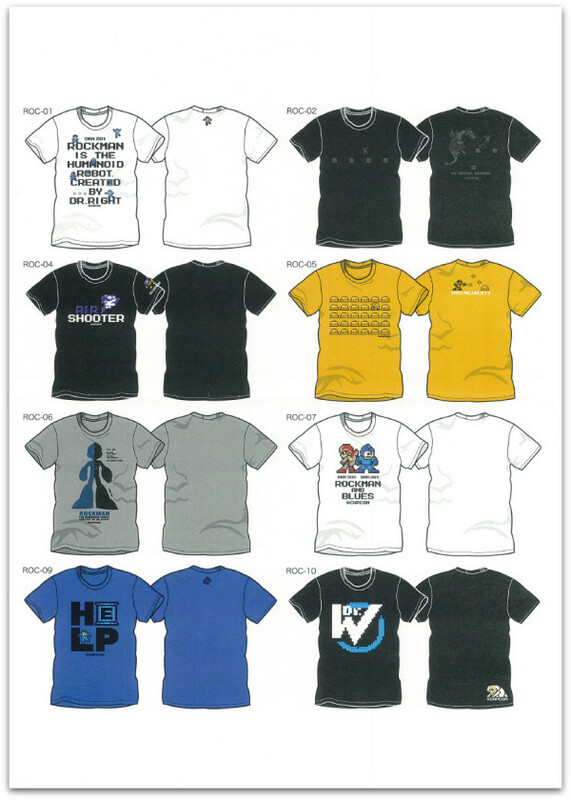 I like the grey shirt, and the one with Wily's logo. But yeah, those are just way too expensive. Not worth a cent, really. too expensive, though id love a Wily logo shirt like that. I want ROC-07, the one with Rockman and Blues. Maybe the price is in line for the cost of a licensed shirt out there? Everything is more expensive in Japan, and the US dollar has taken a beating recently. It's hard to tell if the price is reasonable for the local area without knowing the average price. I would totally wear the Mechadragon and Wily designs if they came out here at a reasonable price, though.